* It is not compulsory that Tawaaf or circumambulation is performed between the station of Ibraheem (Maqam-e-Ibraheem) and the house of ALLAH Almighty, Holy Kaaba; Tawaaf can be performed in the upper area too that is constructed for this purpose. * When there is a huge throng and are lots of people there with the intention of performing Tawaaf, sometimes it happens that crowd pushes or shove the person forward by force, if this not done intentionally then it does not harm Tawaaf. * Performing Rami al-Jamaraat (throwing pebbles on shetan to the places of Jamaraat in Mina) becomes severe sometimes so it’s better to collect more pebbles in case if any pebbles falls or misplace. * Qurbani of animal is permitted in any place that is available for sacrifice, although the place must be out of Mena. * It is recommended to do qurbani and Zibah animal on the day of the Eid, but because of crowd person doesn’t get chance then he can do this ritual on next day. * Pilgrims can do Zibah animals personally or can give the deputyship to any person who is reliable and know how to Zibah in a proper manner, it can be the manager of your group or anyone. * Muslims must be careful that meats of sacrificed animal do not become useless or corrupted in a case that it doesn’t bury or of burn those meats, because this is considered israaf (wasting) on Islam. If you don’t find any person in Mina or the nearest area that deserves the meat, then it is suggested to bring the meats to other area when you can have some poor and needy people, give meat to them. * Sacrificing of animal (Qurbani) should be done in Mina and make it possible to prevent meats from being wrong used and corrupted. * Meeqat is a station for wearing the Ihram or performing Umrah and Hajj and no one can enter to the boundary of meeqat without wearing Ihram, there are meeqats that are reserved for wearing Ihram. * The place for performing the Namaz of Tawaaf is behind the station of Ibraheem, but it is too much crowd there then namaz can be performed with a distance to prescribed area, as all pilgrims will be there to perform namaz, one should not insist to perform the namaz behind Maqam-e-Ibraheem. * It is a dream of every pilgrim to go for ziyarat and visit those sacred sites which have great religious historical importance in Islam, it is permitted to go to the sacred places like that are located out of Mecca after completion of Umrah and Hajj, but during the days of Hajj pilgrims should focus in performing Hajj rituals rather than going to farther places. Hajj is the pilgrimage to Mecca that is a mandatory worship Act and all Muslims should have to perform the Hajj at least once in your life. 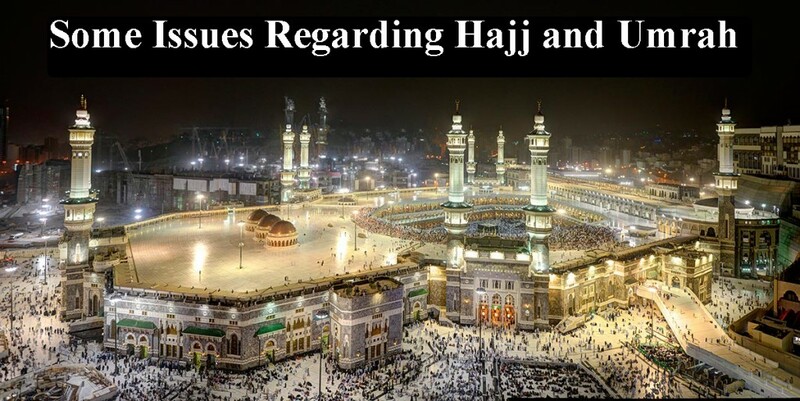 Hajj is the pillar of the religion Islam and every able body should lead this blessed path. Now, Muslims visit Mecca to perform the Hajj taking Hajj Packages from UK that make unforgettable your sacred journey.